Facing the current situation takes gumption and resilience! Well, to be honest, we all are in trouble. Some people however feel unable to even allow themselves to feel and acknowledge their feeling of frustration, outrage and anger, because THAT would be “negative energy” and their world view includes the strict avoidance of “any negative energy” for fear of being tainted and corrupted by it. We all know a few of these “gentle souls”. They do not watch the news, they do not read the papers, they do not allow any negativity or negative talk in their homes or in their presence and should “something “ come up in a conversation, they withdraw or simply leave…..
Generally this is a good and positive thing and keeps them healthy and it is a good strategy to mitigate anxiety if it were not for the denying of their own feelings. It then can lead to a slippery slope, where healthy anger and frustration get further suppressed and denied, creating stress and pressure, that turns inward and eventually implodes, leading to anxiety attacks, nightmares, fear and ultimately also to depression. Needless to say, that the afore mentioned symptoms are also seen as “negative energy” and so a nasty vortex is set into motion……. They will cry and yell and mourn and grovel and curse and scream some more…..
RIP apart a bunch of black cloth and TOSS it right across the room…. then dissolve into another flood of tears……. for the next 30 minutes……. – then it is time for a cleansing. – a smudge; Juniper berries, Mullen, Lavender and Cedar…. Then they go home, feeling better. They know, I am just a phone call or an e- mail away……. 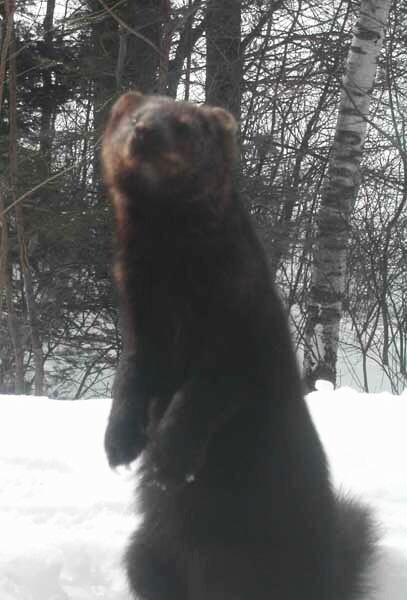 After the previous post appeared, I was asked; When I do see a Fisher – or in this case Mathilda, in a shamanic sense, what does that mean to me? 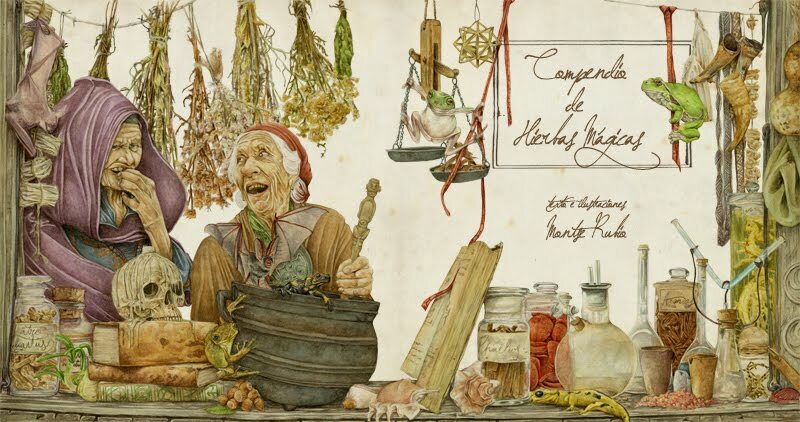 What Medicine wisdom does Mathilda – or any other Fisher carry – or point towards? 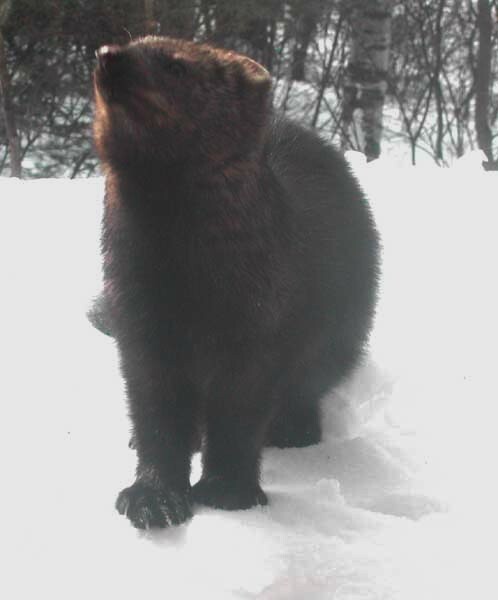 For me personally a Fisher has the connotation of “adversity” living , dealing and overcoming adversity – and reaping the rewards of that. 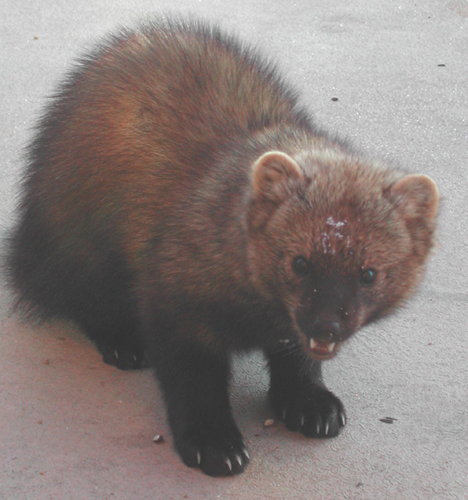 So when we moved here learned to despise Fishers….. But then, about 10 years ago I had a friend come to see me – as a client – with the thread of a a rather nasty and debilitating condition hanging over her head. She is a gifted healer herself and this “thing” was threatening her independence and her livelihood. So we got to work on what was causing it and send it packing! 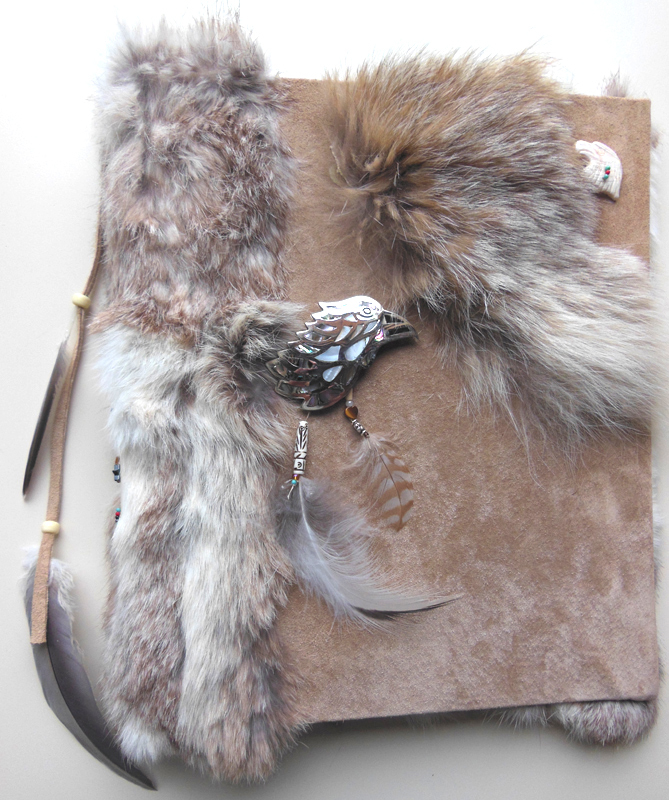 As Medicine Gifts for that healing help she gave me a Fisher foot and a Bear Claw. During the “workings” I called on the Spirit of that Fisher to please forgive the trespass on his life and also asked, iffff he was willing to help getting rid of that problem. He was, and over all these years did a good job. Since then that Fisher foot is on my Client Altar to help, keep my friend safe. 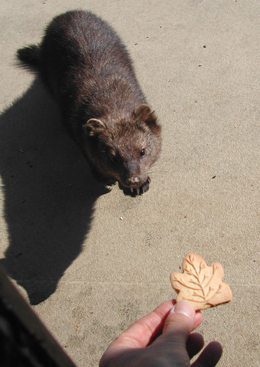 But soon / about a week after this shamanic session the first Fisher showed herself to me- in Animal form. I think, somewhere on this blog there is a post about it…. I have to look…. Anyway, that one we named Bissiger Beisse = “BB” = the Sharp-toothed Biting One”. Soon after, even her mate appeared at the door. He is about twice as big as “BB” and had NO Fear of us at all and after only a day or 2 he took food from my hand, carefully keeping his sharp teeth in check. Often he sat at the sliding door, waiting for me, to give him a treat. When the snow melted, both Fishers disappeared back into the forest- and our Raccoons all re-emerged from their hibernation trees. So we now have a positive relationship with the wild Fishers of our surrounding forest and the Ee’ren of the Fishers = the Manitou of them sometimes helps me on trance journeys, pointing out adversities a client faces but is not conscious about. Is he one of my Miahanits? She is a reader here and I wonder, ifff she will speak to the matter……♥! As I said, she is a gifted healer and I would love to beat the “word of mouth drum” for her. We neeeeeeed many more like her. In lat summer I have been approached by the city of Bracebridge, to join them as an employee of the City to bring some of the workshops I usually provide for the community under the umbrella of the Culture and Recreation Department. Not very much, certainly not equivalent to what I normally get paid, if they hire me as an “independent consultant”and workshop provider in this department. In the end they chewed me down and I agreed – at least for this winter – to see, how it goes……. They first wanted to write Shaman/ “Medicine Woman” onto my contract of employment and on the fliers for the workshops I agreed to provide. 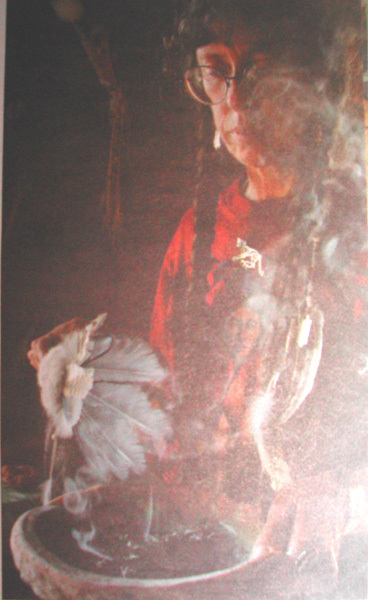 But I told them, the word Medicine Woman was controversial, as it is understood – by the Native American (First Nations) – to mean “one of THEIR Medicine People” – like a Lodge Leader, Faith Keeper (Sachem) or Shaking Tent man or Pipe Carrier……..
they say Ooh, like a Medicine Man! – Or ah, you are a Witch Doctor! I am not a witch and I am not a doctor, although I do have a current RN licence and am training as a Jungian analyst from a Western university. My father’s people call a person that does the things I do a “Kham”, leading Khamlanies = healing and other rituals. Udega is another similar word but it rather describes a person working with herbs and potions. Someone who uses drums and chants , who has one or more Spirit Guides, mostly in Animal form that he or she contacts while drumming in order to find out what is wrong with a client is called a Kham. The word this culture uses is Shaman, also a Siberian word, Tunguse to be precise, it is descriptive of someone entering ecstatic trance in order to help, advise, divine, heal, and otherwise aid the community. Living here in the West I claim this word as a befitting description for me because it points not only towards what I do but also to my Siberian heritage and distances me from the also often used term “Medicine Woman” that implies Native American heritage and incidentally would be analogues to the word Udega among Siberian people. Shaman however is not what I do, it is what I am. It permeates every aspect of my daily life, my art, the way I teach at elementary and university level, the way I engage the Spirits in order to facilitate healing, the way I mentor my students, and how I conduct public multicultural gatherings and rituals. 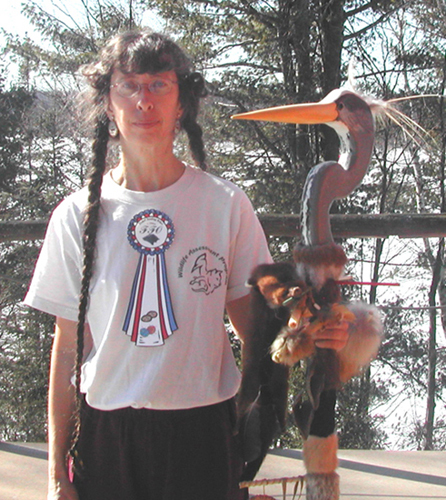 But generally the ordinary folk here in Muskoka do not care so much about what I am called; they are waaaay more interested in what I do and what I teach THEM to do. I finished my nursing education with an RN degree in 1976 and a year later my training as a Jungian annalist. In spite of that I have not worked in formal nursing since then. 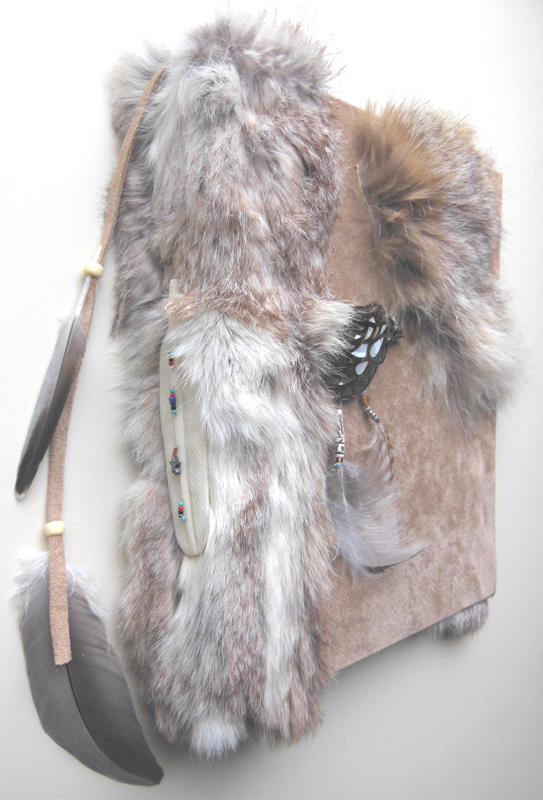 Bearpaw, our Jewellery making business took of like a lightning bolt and we both worked at new and exiting designs, making and selling our creations full time. 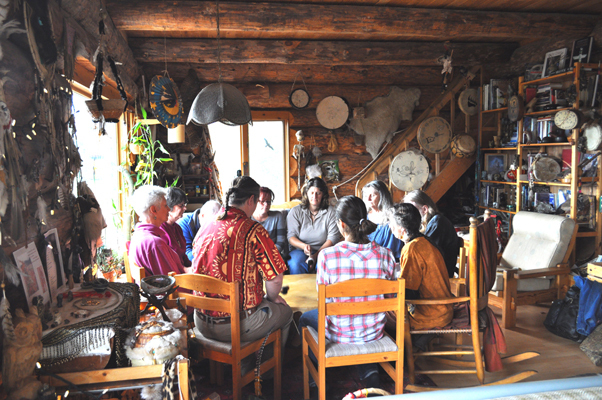 Any free moments I had were taken over by my shamanic work and as local word about that went around I took a step back from the daily jewellery making and towards taking care of an ever increasing group of shamanic clients and patients. Then I was also asked to formally teach about shamanic ways, about drums and drumming and also within the Native Studies programs in schools, universities, in the community and in the health care system. But over the years I often wished, that I could go back to university to catch upon the latest science in in Medicine, maybe even genetics, in social studies, and a variety of “new to me” and exiting subjects. Keep these grey cells busy ……before they frizzzle away…. Then, a friend pointed me to Coursera! Learn without having to go to Toronto or another big city! Study right at home?!! 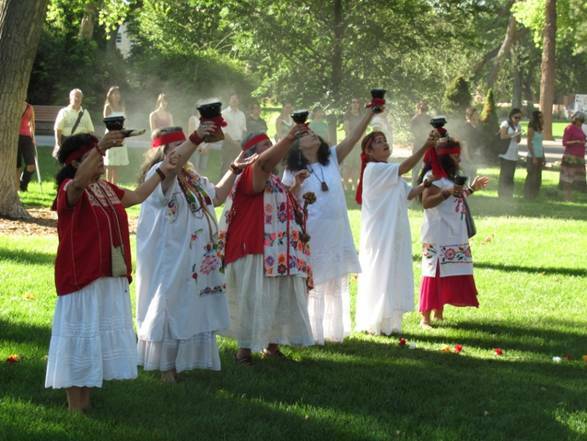 This course provided information on the history, traditions, rituals, herbs and remedies and video demonstrations of Curanderismo, a folk healing tradition of the Southwestern United States, Latin America and Mexico. The course discussed the effectiveness of traditional medicine in order to meet the needs of many people, especially the uninsured. I LOVED every minute of that course! 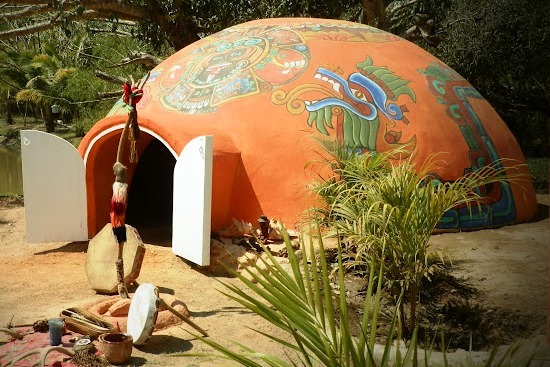 In the early 1980ties during every winter we lived in the Central Highlands of Mexico and had direct contact with curanderos and curanderas and indigenous Medicine, which has its roots in shamanism. 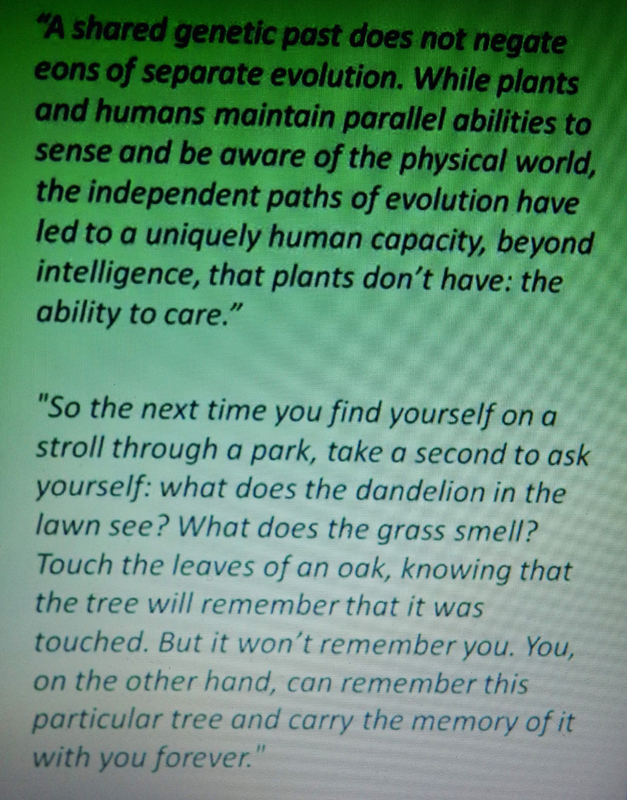 Encouraged by this experience I dove head over heals into “What a Plant Knows” presented by the University of Tel Aviv = a course about the sensory system of Plants. Plant biology about what and how a Plant can see, how Plants react to smells -to being touched and moved – or eaten and how a Plant always knows where it is compared to the Sun and the Water source. It sounded sooo easy and fun, but the course went all the way down into Plant genetics and epigenetics, photoperioidism, phototropism and how a Plant’s short and long time memory works. I realized, how much science advanced and I had to buckle down to catch up in order to pass the exam. This I HAD to take! Sooo many of my clients are struggling with mayor depression and with SAD = Seasonal Affective Disorder. The course looked at depression from a Public Health Care point of view and the increasing incidences of MD in the population, why more women than men, why do women often seek help and men do not, how does MD present in Kenia – compared to with what symptoms do patients seek help in the US…. It also was a difficult experience, because what the course stipulated as solutions for the problem of a steadily growing population afflicted with Mayor Depression just are not implemented in the communities up here in the bush in Canada – or are not realistic in general, due to costs involved and due to lack of trained professionals. There were long discussions on the forums of this course and one could easily see, if the posters came from Western Europe, California or the Eastern US or from India, South Africa, Peru or from Central Canada….. We here live in the proverbial First World, but as far as Mental Health services are concerned this here is a Third World Country. When I posted that, many sadly agreed. But all in all I learned a lot! Come to think of it, maybe I should share some of it here in a future post. So, what do I have my nose in, at the moment? The course is still open, so you can take a look here. I find it fascinating, because over the years I noticed, that all my depressed clients have a circadian clock, that is out of sync = they sleep until very late in the morning/ noon and are up all night…. Cancer patients also have disturbed rhythms and so of course do shift working people…. The other thing is, that again and again my Medicine Animals point out, that clients with SAD do not get enough Sunlight in the morning hours and most people are working indoors at a 9 to 5 jobs and are not getting enough Sun light to keep a healthy immune system. This all , I sensed, is dependant on a compromised in their circadian rhythm and sleep rhythms and so, I wanted to know more. Sure enough! My Medicine Guides are absolutely right and the scientists now have prove of how disturbed rhythms make us ill and kill us. They also found out, how to fix these problems, but our social clock = the 9 to 5 workweek would have to change and with it our whole society. Did you know, that most medications a person gets prescribed do not work, because they are taken at the wrong time of day, when the “liver cycle” just washes them right out of the blood instead transporting them where they were supposed to help?? No, I stumbled over that conundrum with people on blodd pressure meds, when my Owl again and again showed me, that these need to be taken at certain times in the evening – individual to each patient. And then chemo = Cancer patientsthat should get their drugs at night – there is little use to suggest that kind of thing to patient on a tight shedule at the Barrie hospital…. Ifff you have any time on your hand sign up to this course and look at or download the videos of the last = no 6 lecture and learn about it! This course should stay open for a few more weeks….. Discussed are myofascial pain, headaches, migraines, arthritis and TMD. 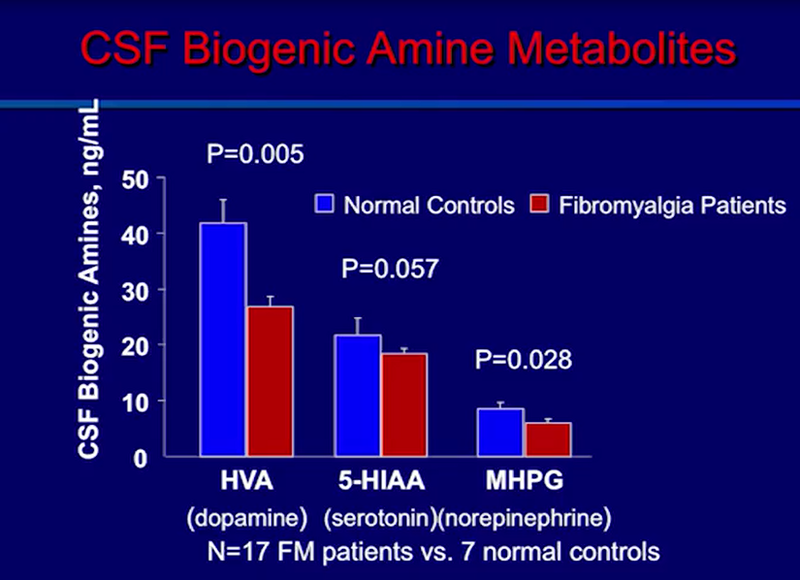 Right now we are all chewing on the module about Fibromyalgia……..
… reminding me, that my homework for today is waiting….. In Canada, National Aboriginal Day has been placed onto the day of the Summer Solstice because since time immemorial prayers to the natural world were offered up on this day in all Native communities. Each celebrating in their way, in accordance with their traditions. so that they may unite us as people with the Natural World all around us. In a sacred manner we wish to send greetings and gratitude to our Mother, the living Earth, upon who’s back we all live, who provides us with everything we need to survive and thrive and who right now is filled with an abundance of new life and is growing the new harvest, that will feed us and all living Beings far into the future. Let us always respect the living body of Mother Earth and vow to protect her from all harm. To our Mother the Earth we send greetings! Let us turn towards the Waters of our World, the Rivers, Lakes, Streams and Oceans, the Rains and Mists and the Snows of Winter. Water is life. Water is the Life Blood of Mother Earth. Our own bodies are largely made of Water. For that reason we need to protect the Waters and keep them clean and pure. To the Waters we send greetings and gratitudes. Let us also send our greetings and gratitudes towards the Fish and all the Beings that live within the Waters of this Earth. Many of them sustain us and all of them are our brothers and sisters. Now with a prayerful mind, let us send greetings ad gratitude towards the Plants. 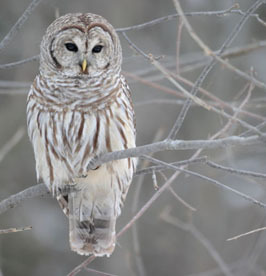 They are the living dress of Mother Earth and they all are our brothers and sisters. Let us honour all the many Food Plants now growing in the gardens and fields. They are the ones giving up their life to sustain us. Let us also send out greetings and gratitudes towards all the many Healing Plants, that carry the Medicine, that restores our health and well being. We are thankful that they show themselves to our Medicine People and that they offer themselves up to us all. May they thrive in Beauty and in Balance. Let us also send our greetings and gratitude towards all the many different Trees, large and small. They provide us with wood to build our homes, with sweet fruits like Apples and Pears and with Maple sugar in Spring. All the 4 legged ones that live wild in field and Forest, let us honour them! All the ones we keep in the stables and pastures -the ones we plan to eat – let us honour them! The the Winged Ones up high in the air, let us honour them! The Swimmers, the Shape Changers and Insects… let us honour them! They are our older brothers and sisters, they were here first, on Mother Earth and each of them has a sacred Medicine to teach us. From them we learn how to live in Beauty and in Balance, in Peace and so let us send greetings and our gratitude to all of them. May they all thrive in harmony. Now we come to send greetings and gratitude towards our Grandfather the Sun , who provides us with light and warmth so sustains all life upon Mother Earth. May he always be there, in Beauty and in Balance. Next out greetings and gratitude goes out to Grandmother Moon, who rises in the night sky and provides us with a sense of rhythm and time. She also guides the woman folk through First Blood, pregnancy, childbirth and motherhood and gives all of us sacred intuition and sensuality . May she always be here for us, in Beauty and in Balance. We also wish to honour the Stars that reside in the blue black blanket of Father Sky high above us. the dark and hidden ones are the brothers and sisters of Mother Earth and many of them carry life just as she does. When we look up towards them, may we always remember, how small we are in the vastness of creation. Let us now send greetings and our gratitude towards all of our Elders, our Medicine People, our healers, leaders and teachers. May we absorb their wisdom, carry it within us and pass it along to our children and all young folk. everywhere and at all times. May this living Natural World be kept in Beauty and Balance for future generations. May we and all our families and loved ones be kept save and in Beauty and Balance. May our harts and minds now be as one! My people call a person that does the things I do a “Kham”, leading a Khamlanie = a healing and/ or other rituals. Udega is another Siberian word but it rather describes a person working with herbs and potions. Someone who uses drums and chants , who has one or more Spirit Guides, mostly in animal form that he or she contacts while drumming in order to find out what is wrong with a client is called a Kham. The word this culture uses is Shaman, also a Siberian word, Tunguse to be precise and descriptive for someone entering ecstatic trance in order to help, heal, or otherwise aid the community. In this culture I claim this word as a befitting description for me because it points not only towards what I do but also to my Siberian heritage and distances me from the also often used term “Medicine Woman” that implies Native American heritage and incidentally would be analogues to the word Udega among Siberian people. Shaman however is not what I do, it is what I am. It permeates every aspect of my daily life, my art, the way I teach at elementary and university level, the way I mentor my private students, and how I conduct public multicultural gatherings and rituals. ………………………………………………………………………………………………….The musical aspect of my practice as a shaman involves drums and drumming as well as chants, traditional ones and others received in trance states and by extension movement and dance. To me drumming in itself has different aspects that all fit onto a fluid continuum from light-hearted fun all the way to deep states of conflict resolution and healing. 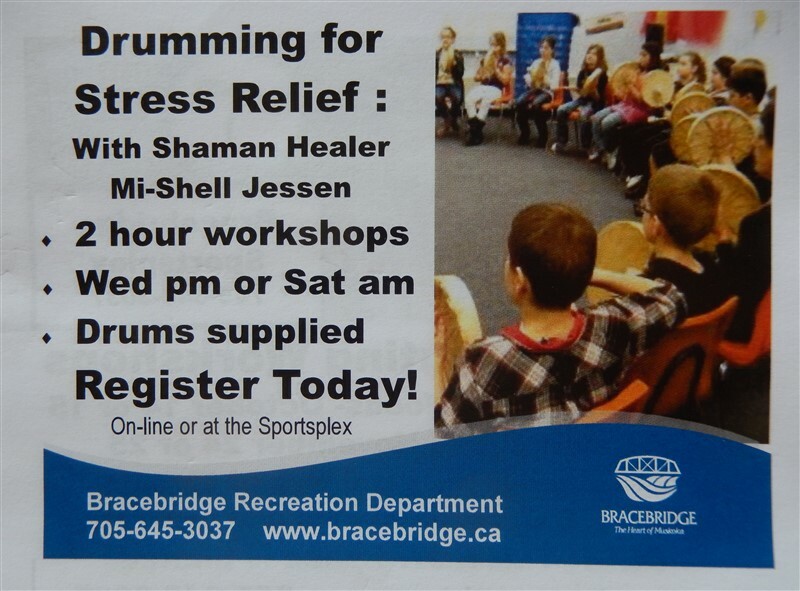 There is the Bracebridge Drum Circle that gathers every Tuesday evening and provides everyday fun, good for you drumming. People come to jam together and also practice culture specific rhythms from around the world. Next is my Frame Drum Circle, called “The Healing Drum” It is centred around spirituality and personal growth and I teach the use of the drum as a tool for relaxation and meditation, anger management and conflict resolution and -on occasion- I facilitate cathartic psychological ab-reactions for participants and lead them into profound healing states. In the Longhouse we sing and dance to the Mohawk water drum, that the Sachem plays. We accompany him with horn rattles..Even further along the continuum is my use of drums in shamanic healings. When I either drum with or for an individual client in order to put him/ her and me into trance, so I can “see” into the body/soul to find the cause of an illness or dis-ease. The last on the continuum is me, alone, drumming and chanting, most every night to initiate and maintain altered states of consciousness and thereby see/find out about concerns I have for self and others. That is also where I receive most of my chants and where rituals are “born” as finished entities, ready to be used with the community and where the concept of much of my artwork comes from…..
One of the most powerful aspects of drumming and the reason that people have done it since the beginning of being human is that it changes people’s consciousness. Through rhythmic repetition of ritual sounds, the body, brain and the nervous system are energized and transformed. When a group of people play a rhythm for an extended period of time, their brain waves become entrained to the rhythm and they have a shared brain wave state. 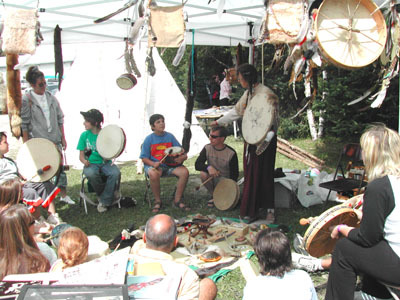 The longer the drumming goes on, the more powerful the entrainment becomes. . All of the oldest known religious rites used drumming as part of the shared sacred experience. It is interesting to look at these ancient drumming practices from the perspective of the latest scientific research into the functioning of the brain. Using electro-encephalographs, scientists can measure the number of energy waves per second pulsing through the brain. A system of classifying states of consciousness according to the frequencies of these waves was created. Normal outwardly focused attention generates beta waves which vibrate from 14 to 40 cycles per second. When awareness shifts to an internal focus, our brain slows down into the more rhythmical waves of alpha, vibrating at 7 -14 waves per second. Alpha is defined by relaxation and centering. 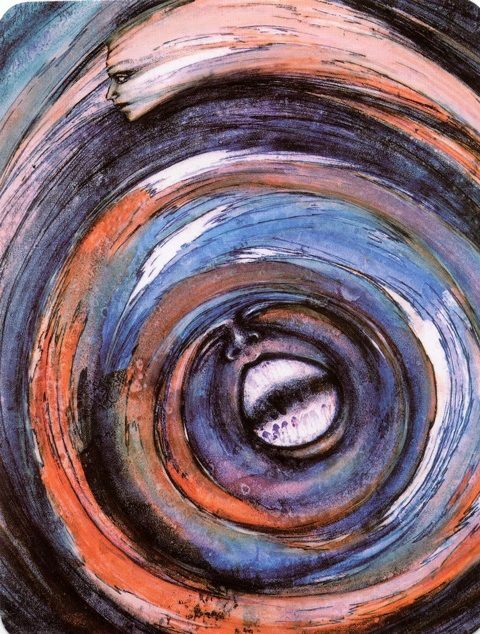 Dropping down to 4- 7 cycles per second the brain enters the theta state in which there is an interfacing of conscious and unconscious processes, producing hypnagogic dream-like imagery at the threshold of sleep. marked by physical and emotional healing. People with a preponderance of theta brain waves are also able to learn and process much more information than normal. Without some form of intensive training, it is hard to stay awake in theta–one slips quickly down into delta. This is the slowest brain wave frequency, 1-4 cycles per second, the state of unconsciousness or deep sleep. left and the right hemispheres simultaneously.